These super easy 5-ingredient, one bowl, extra chewy cashew butter cookies with toffee bits are ridiculously quick and simple to make, and have amazing flavors! I realized today that I haven’t eaten plain peanut butter for a few weeks now, which is insane. I regularly torture you all with ramblings about how much I love PB, so you know how big a deal this is. I eat 3 spoonfuls/day on most days. Although, it’s probably not quite as groundbreaking as I’m making it sound since all that’s really happened is I’ve traded my spoonfuls of peanut butter for cashew butter. So, it’s not like I’ve abandoned nut butter altogether. And I’m still technically getting a lot of PB, just not straight-up on a spoon… it’s been in cookies. Many cookies. In other words, I blew that way out of proportion by calling the recent lack of PB in my life ‘insane’. And now I won’t stop talking about it. Okay, that’s enough. Movin’ on. I really can’t tell you specifically where the idea for these Cashew Butter Toffee Cookies came from, but in the midst of my recent infatuation with cashew butter, I just got it in my head that cashew toffee cookies were going to be reallllly good, and I wanted to make them happen. When they happened, they were even better than I expected. I love it when that’s the case. It most definitely doesn’t always work out this way. Like cranberry maple syrup, for example. Just… no. Trust me. You’re gonna want to trust me. That incident was very unfortunate. But these! These exceeded my hopes in the flavor department, and they were also shamefully easy. As in, remember those old Rice Krispie Treat commercials where the lady ran around her kitchen frantically, made lots of noise and clatter, and dusted flour all over her face to pretend that she labored over them? You’ll have to do that or else the secret will get out and everyone will know how quick and easy these are to make. I started with this recipe for the world’s most simple PB cookies, but subbed with cashew butter, of course, and added in toffee bits. Um, yeah. So that’s it. I did also swap some of the regular white sugar for brown sugar and it definitely resulted in a chewier cookie, which was altogether amazing. Ridiculously chewy in fact. Between the major chewiness factor, and the buttery, butterscotch-y flavors of the toffee, and the cashew butter change-up, these were a total delight! 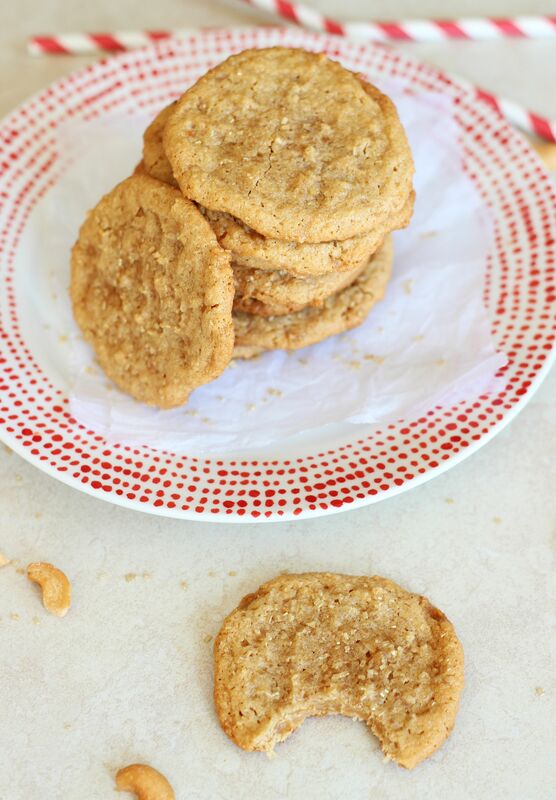 A super easy, 5-ingredient, extra chewy cashew butter cookie with toffee chips! Drop by teaspoonfuls onto lightly greased baking sheets. Flatten slightly with a fork, making a criss-cross pattern. Bake at 350 degrees for 8-10 minutes, or until edges are golden brown. Allow to cool on the pan for 1-2 minutes before removing to a wire rack. Nut butters really give us some of the best things in life, right? I’ve tried almond butter before, but never the cashew kind! I definitely need to get on that because these cookies look amazing! I love that these contain only five ingredients and are flavored with toffee (my fave!). 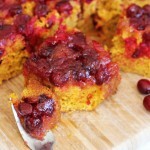 Sounds like the perfect treat to whip up and I love the chewiness factor, too! You can make cashew butter as easily as other nut butters, but I really love the Jif brand. It’s smooth, creamy, and easy to spread. There’s also a bunch of natural brands like Maranatha! If like cashews, you should try it. It’s great! Thanks, Gayle! I’ve never tried cashew butter before, but I agree with Gayle, going to have to get on that! 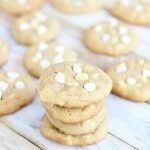 These cookies look so quick and easy and amazing! I made those 3 ingredient peanut butter cookies once, and while they tasted good, they looked nothing like yours! They spread like crazy and I had one giant cookie sheet sized cookie! Not sure where I went wrong – going to have to try again I guess! these look awesome Sarah! I’m loving all the cookie recipes that you have been sharing lately, keep them coming! I’m yet to try cashew butter, love almond & PB so I know I will like this one too! 🙂 I am sipping my tea as I write this, can I get one of these, Please?!!! Haha! I totally wish I could share!! They’re suuuuuuper easy though!!! 🙂 Whip ’em up real quick! Haha. Cashew butter is excellent! If you like cashews, you’ll love it. It’s great! Gives these cookies a unique twist! Thanks so much for you kind comment, Manali! Have a wonderful evening! 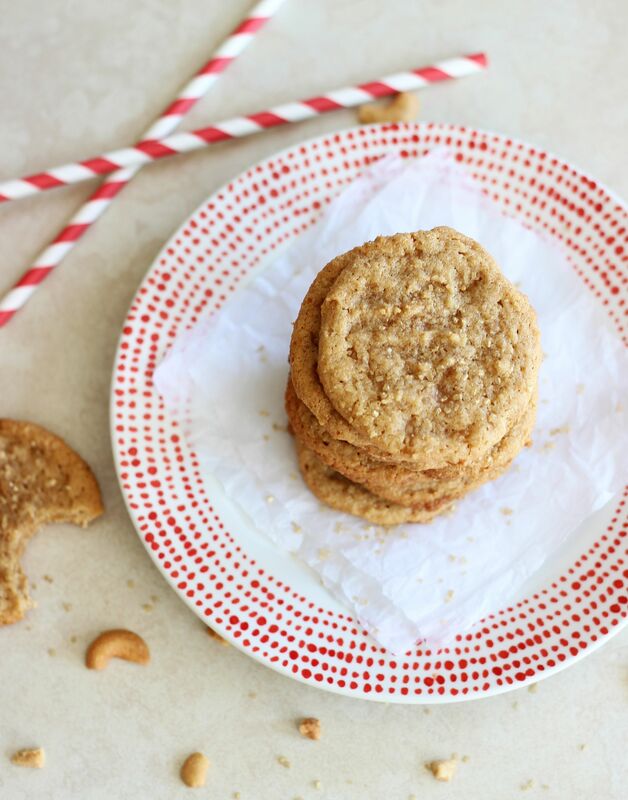 I love using nut butters in cooking – definitely need to get my hands on some cashew butter so I can make these cookies. They look and sound beyond amazing! 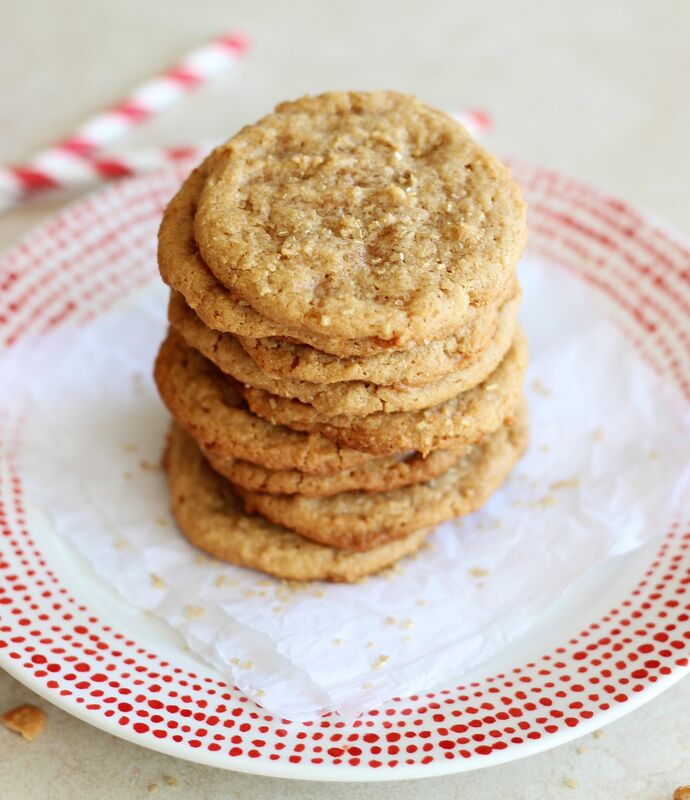 I just tried cashew butter for the first time and love that you made these cookies with them. They look amazing! 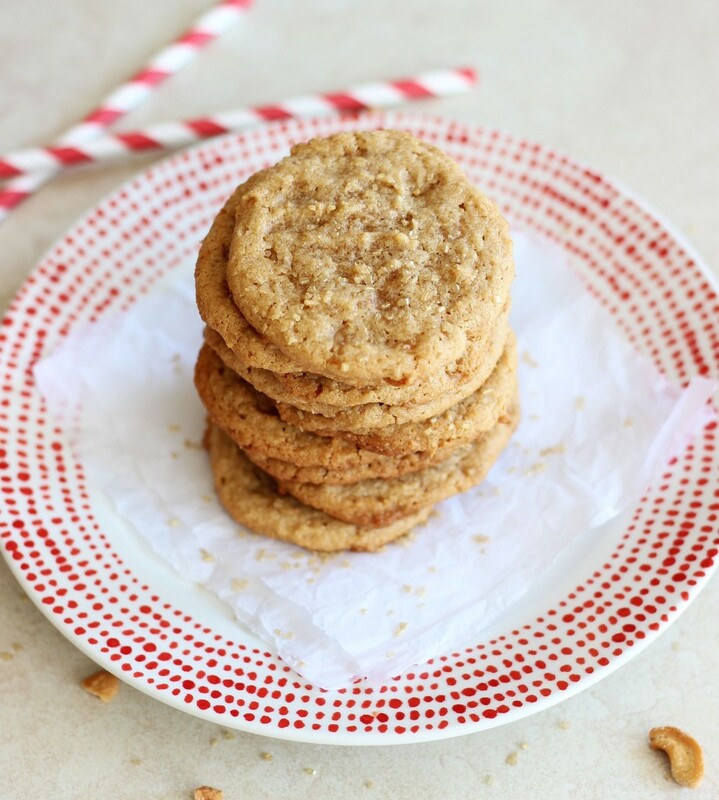 I love that there are only 5 ingredients in here and chewy cookies are my favorite – pinning! Isn’t cashew butter amazing? Omgosh, I love it. It was such a fun spin in these cookies! So glad you like them! 🙂 Thanks, Kelly! 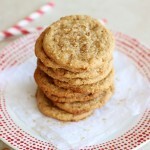 These cookies look fantastic, I love that there are only 5 ingredients! Uh huh! They totally have cashew butter now! You have to go get some. 🙂 It’s fantastic! I know… I love a chewy cookie. These were divine. We had to freeze them to stop eating them. Haha! Seems I’m in good company as one who has yet to try cashew butter. I think I’ll put my new Vitamix to work and make some. 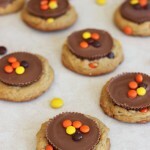 These cookies look like the perfect treat to have on hand for a long Thanksgiving road trip. Thanks for yet another delicious recipe. 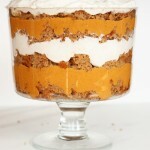 I’m starting to count on you for yummy treat ideas in my inbox! I go to a fantastic cookie exchange party every year and every year I struggle to think of a new cookie to bring because really I’m just a chocolate chip cookie girl…but these look pretty, I love toffee, and they sound easy. Yay! Thanks for helping a girl out! ‘Tis the season for cookies! 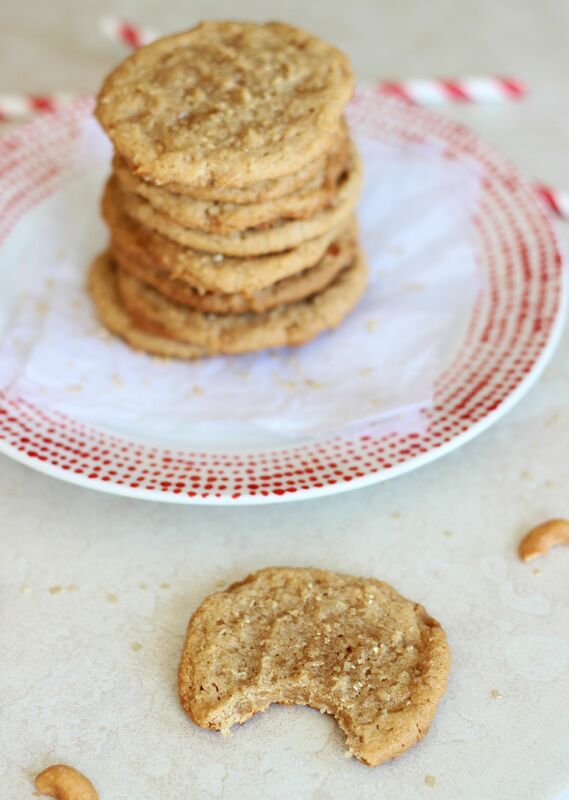 I love everything about these cookies – the fact that they are only 5 ingredients, are chewy and include cashew butter! I’ll take a dozen, please! Chewy, 5 ingredients, and so easy to make…I’ll have to give this a try! Pinning. Definitely! We looooved them. Let me know if you try them! These are my kind of cookies! Thanks for linking up with What’s Cookin’ Wednesday! Thanks so much for the party, Karly! I don’t think cookies get much easier. These sound scrumptious! Isn’t it? I love all things cashew, and cashew butter is fabulous! Thanks so much, Amanda! Cashew butter is really a nice change from peanut butter. Love the toffee too. Please bring this by my Weekend Bites party today. 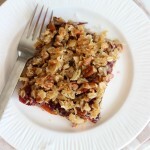 This sounds so yummy and it’s easy too! Will definitely give this a try. WHAT? Just 5 ingredients? Totes trying these. 🙂 Appreciate you bringing these to our Snickerdoodle Sunday link party and I hope you come back this weekend! These look so good and I love “chewy” cookies. I will have to try your recipe! The flavor is so special and unique, and they are ridiculously chewy! I love them! These look great! Pinned for later! Thanks for linking up and sharing this on the #ShareTheWealthSunday blog hop! Oh man, I bet cashew butter cookies would be AWESOME! Thank you for sharing these at the #SmallVictoriesSundayLinkup! These are so good! Such unique flavor and they’re super chewy! Thank you!